Dubrovnik offers events and happenings for every taste ! 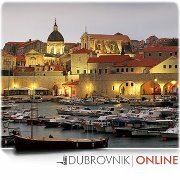 If you wish to find out what's hot during your visit to Dubrovnik check out our events page at Absolute Dubrovnik. Search by event, date or location. We are currently upspam detected the event list for 2012, including programmes for Dubrovnik Summer Festival and Julian Rachlin & Friends Festival as soon as they become available.